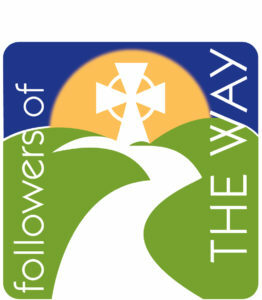 The Followers of The Way is a society of clergy and Christian workers, their spouses who desire to participate, and others who offer themselves to praying for them as Oblates, who seek to encourage one another in being holy people of God, and who live by a defined Way of Life that focuses particularly on prayer. We are members of or are in agreement with the doctrine and discipline of the Anglican Church in North America. We desire to be contemplatives in action who draw from the wellsprings of intimacy with God as the primary Source of life and ministry. Though we have been sent by God into the world as His missionaries, we recognize that we are also sent by Him into our hearts, minds, and wills so that we can be transformed into His likeness. Our fellowship flows out from our relationship with God the Holy Trinity and with each other as co-laborers in ministry and in discipleship. Although we do not live in physical community, our Mother House is The Abbey of the Way in Worcester, MA (www.abbeyoftheway.us). We are united by a Common Way of Life, a daily Office of prayer, an annual retreat, and occasional days of reflection. In all of this, we wish to glorify, love and serve God ever more faithfully, to minister according to His general and particular calling to us, and to advance the influence of the Kingdom of God. We ask God to use this society and rule to make us more like Jesus. As a society we are bound together in love and obedience to Christ as outlined in Scripture and tradition. We are brothers and sisters of our Heavenly Father Who has adopted us through His Son, and we are united by the One Holy Spirit Who seeks to fulfill in us the prayer of Jesus that we be one as He and the Father are One. However, we are free under God’s Word and Authority to be diverse in our interpretations about matters of Church discipline and practice. We respect each other’s conscience and our prayerful responsibility to live as God leads us individually. We are called to particular forms of servanthood, and view this society, and its rule, as tools to sharpen us for the service and advancement of God’s Kingdom. As a Society we espouse no cause but Christ’s and the Kingdom of God. Members who are clergy and Christian workers recognize that we have not been promoted to a higher station of spiritual privilege. Neither our ordination or commissioning, nor this society, should tempt us to separateness, exclusiveness, pride or arrogance. All of us, in our baptism, our faith response to the call of God, and our being sent in mission, affirm the call be holy people of God, pursuing the mission of Jesus in the world, and in our own lives, families, and households. … to nurture a holy life among The Followers of The Way and in the Church at large. To help us live these purposes we have established by mutual consent a Common Way of Life, to be observed by all members. In case of an individual need the Abbot may permit modifications of the Way. The Way of Life is a source of wisdom and support, a trellis to help us to grow towards the Sun of Righteousness, and a railing to keep us from falling from the Way of Christ. It is not a law requiring the mechanical doing of spiritual acts. It is not intended to add a burden or overwhelming sense of guilt. Rather it is a gift and guide, a means of measure and encouragement to help us live and work in constant communion with the Word and Spirit of our Lord, Who alone is the Source of spiritual life and growth. The Way gently and persistently calls us in the midst of our daily routines to a life of growth in love and obedience to our Lord. The Way of Life is focused on Christian virtues, attributes of Jesus that we ask the Holy Spirit to develop in us. The spiritual practices that we adopt can put us in a place where the Holy Spirit can transform us into Christlikeness. The virtues of this Common Way are rooted in the virtues of God Himself, and therefore dispose us to live in an ever-deepening relationship with God the Holy Trinity: “they have the One and Triune God for their origin, motive, and object”. (Catechism of the Catholic Church). The development of a holy life in Christ, which is the goal of our Common Way, is described in Scripture. We meditate on the following passages often, praying that God will fulfill them in us and in all people. God is light; in Him there is no darkness at all. If we claim to have fellowship with him and yet walk in the darkness, we lie and do not live out the truth. But if we walk in the light, as He is in the light, we have fellowship with one another, and the blood of Jesus, His Son, purifies us from all sin. You are a chosen people, a royal priesthood, a holy nation, God’s special possession, that you may declare the praises of Him Who called you out of darkness into His wonderful light. Once you were not a people, but now you are the people of God; once you had not received mercy, but now you have received mercy. Christ leads us through daily life and ministry in the Way of Life, focused on the way of the Cross and the way of the Resurrection, a personal and communal way of struggle and surrender, being crucified with Christ and being raised to newness of life, all by the initiative and the power of the Holy Spirit. Aware of the temptations of the world, the flesh, and the devil, and of the joy that is set before us, we seek to dwell in Christ’s transfiguring Light and there find grace and power to walk with Him the reconciling and transforming Way of the Cross, the Empty Tomb, the Ascended Glory, and the descending Holy Spirit. We covenant with each other to travel together in this Way of Life, relying not on ourselves but on God’s help and each other’s as we seek to live in Him and for Him and like Him. + seek the empowerment of the Holy Spirit, asking to be filled with the Spirit daily and moment-to-moment, receiving His gifts in order to follow Him in mission in the world. + engage in personal reflection as we make and keep a rule for the keeping of Advent and Lent, including a self-examination upon our ordination and/or baptism vows and this Way of Life. + practice regular rest through keeping the Sabbath and other times for rest and recreation weekly, providing good and caring time for our families, friends, and neighbors, and dedicating a day for God monthly and a multi-day Retreat annually. + respect the partnership and ministry of our spouse and/or household and family,living in contentment with them and in favor with all. + invite others to explore whether God might be calling them to join us in this Community as we seek to walk together in the Way of Jesus and encourage one another in holiness of life.